The weekend kicked off with the JBL Platinum Party, hosted by the legendary Quincy Jones and The Recording Academy, home of The GRAMMYS at OMNIA, one of the hottest nightclubs in Las Vegas. 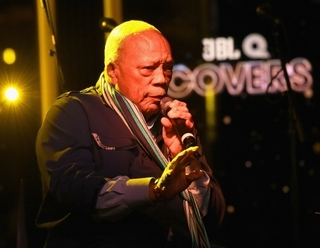 During Covers, An Intimate Musical Experience with Quincy Jones, Quincy remarked on his historic career and emphasized the importance of mentoring the artists of the future. To round out the night, Olivia Culpo, actress, model and our host for the weekend, brought Rachel Platten onstage for a red-hot performance of some of her biggest hits including Fight Song and I’ll Stand By You. Other special guests included NBA legends, Magic Johnson and Kevin Garnett. To help immerse our guests in the world of JBL, HARMAN fully transformed the SLS Hotel and Casino, which served as our guests’ home base for the weekend. Customizations included the JBL Dare to Listen Bus and Crate, a private JBL Fest guest entrance, registration and concierge area and a state-of-the-art hospitality suite. HARMAN custom wrapped the Las Vegas monorail for all to see, and projected animated JBL graphics on the giant LED screens throughout the casino as well as inside and outside the resort. For JBL LIVE!, we took over one of the most premier live music venues in Vegas – the Brooklyn Bowl. 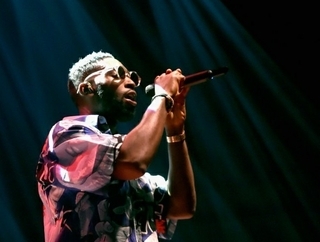 Tinie Tempah, JBL Ambassador and hip-hop, rap, and grime sensation, performed some his most famous jams for a full house. 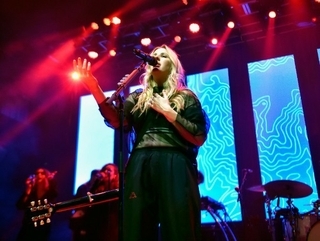 Later, the crowd went wild for pop-star Ellie Goulding and her exciting performance of chart-topping songs including Love Me Like You Do, Burn, and First Time. 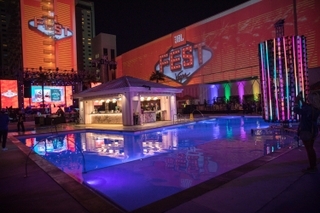 Held on Friday, the inaugural HARMAN University: Fest Talks provided an in-depth look at how brands stay true to their identity while navigating a rapidly changing world. Inspired by the Tedx approach, business, technology and entertainment experts examined how technology is transforming a wide range of industries. 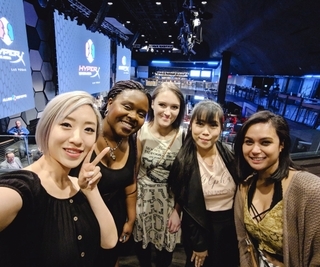 Speakers included Regina Dugan, Former Director DARPA, Paul Chamberlain, CCO of Allied eSports International, Chris Turkstra, Director, Google Assistant, and Deena Ghazarian, Managing Partner at TargetPath. Adrian Younge and Ali Shaheed Muhammad, the producers behind the soundtrack for Netflix’s Luke Cage, also joined the JBL stage as well as MMA Champion and UFC Hall of Famer Forrest Griffin and cultural influencer and performer HeaveN Beatbox. 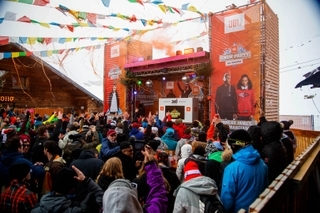 JBL Sound Splash, the larger-than-life grand finale to JBL Fest, absolutely brought down the house. 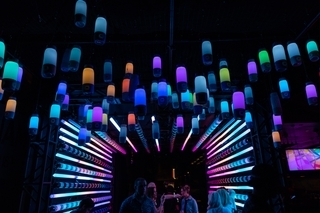 The red carpet was on fire with appearances from the cast of Vanderpump Rules, TV personalities Nick and Vanessa Lachey, NBA Stars Kevin Garnett and Kenny Smith, three-time WNBA champion and four-time Olympic gold medalist Diana Taurasi, and the SLS Foxtail Pool came alive in sound and color with a performance by DJ Tigerlily. Award-winning actress, producer, philanthropist, and JBL Ambassador Priyanka Chopra made a special guest appearance and welcomed rapper Pitbull to the stage. As Mr. Worldwide performed hit after hit, including Timber, Don’t Stop the Party, Time of Our Lives, and I Know You Want Me (Calle Ocho), the crowd’s excitement was palpable. The second-annual JBL Fest was truly an event to remember. HARMAN and JBL are always excited to share the world of JBL with our fans and celebrate partners and guests – we’re already looking forward to next year! HARMAN is dedicated to developing state-of-the-art audio solutions to seamlessly enhance your lifestyle. Explore the world of JBL and find the perfect sound system for your next adventure.